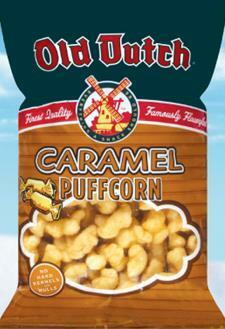 Our Caramel Puffcorn has a sweet caramel flavor that starts with a satisfying crunch. It melts in your mouth and has no hard kernels or hulls. And like all Old Dutch snacks, our Puffcorn is always homegrown and delivered from the heart of the Upper Midwest.